MAX Keyboard premium Cherry MX switch sampler kit – Available Now! Can’t decide which Cherry MX switch to type on? 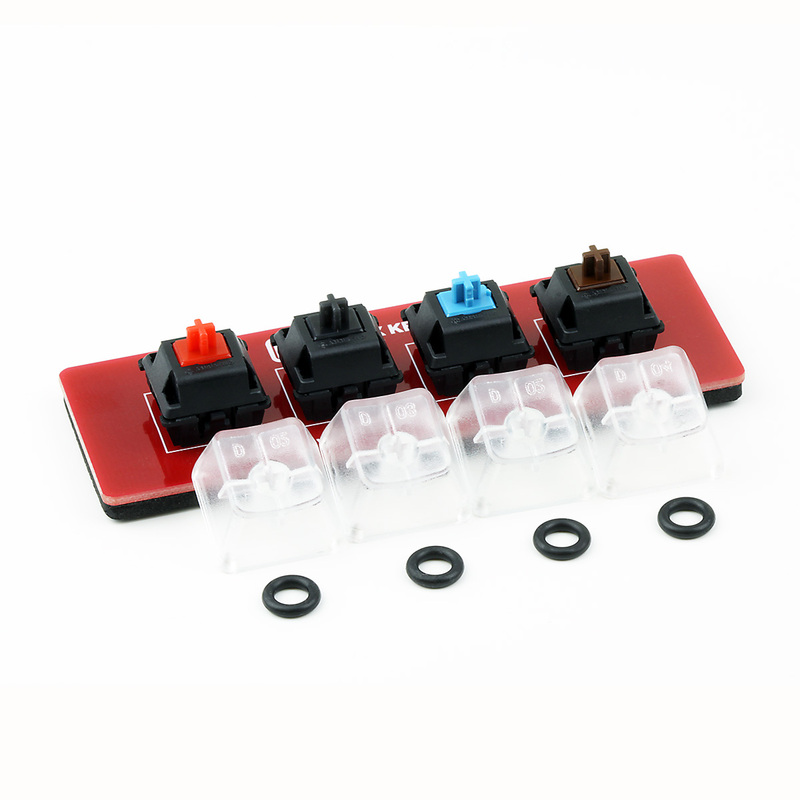 Purchase our Max Keyboard premium Cherry MX switch sampler kit and decide which switch fits you better. Our kit is designed to simulate the actual feeling on a real cherry mx switch mechanical keyboard by mounting all the actual switch on a PCB! Includes 4 clear keycaps, Cherry MX switch types, and sound dampening O-rings. I have never owned a mechanical keyboard. I’ve been wanting to buy one for the past couple months now, but have never been able to decide on a key switch. I love gaming but I also do some website design. From all the reading, I thought I was set on a red or black switch. After receiving the sampler kit, I have come to realize that I’m a blue or brown key switch. Thanks MaxKeyBoard for the quick delivery and great sampler product.